Mortgage lenders use debt-to-income ratio (DTI) to ensure you're not being over extended with your new loan. The DTI is a percentage of the total of all "minimum" monthly debt divided by your gross monthly income. The debt-to-income calculator takes in to account your annual income and monthly debts to determine your debt-to-income ratio. Lenders can also use different variations of your DTI to help them calculate risk. This calculator also provides you with your "front-end" DTI and "back-end" DTI. The "front-end" DTI calculates how much of a person's gross income is going towards housing costs. In contrast, a "back-end" DTI calculates the percentage of gross income going towards other types of debt like credit card or car loans. DTI is only one of the factors that lendors look at. In addition to DTI; credit score, total assets, and LTV (loan-to-value) are also used to determine how much home a person qualifies for. Lower numbers are better; usually a DTI under 36% will help you qualify for most loans. A DTI of 20% or below is considered excellent. includes mortgage principal and interest, mortgage insurance premium [when applicable], hazard insurance premium, property taxes, and homeowners' association dues. If you are a renter, enter your monthly rent. 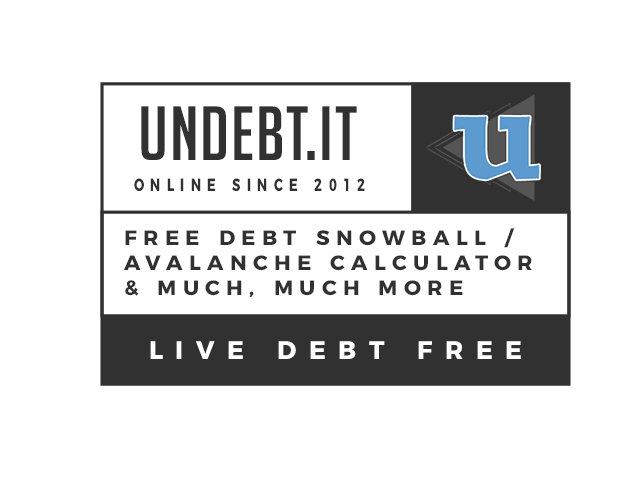 Undebt.it does not store or keep your income or housing expense information in any way. Minimum credit card payments: This is the sum of minimum credit card payments that you pay each month. Do not include credit card balances that you pay off in full each month. Also don't include any extra payments you may currently be making each month. All other debt obligations: Include any alimony or child support payments as well as other personal loans with periodic payments like a line of credit or 401k loan.